Extreme close up view of beautiful brown-eyed brunette woman’s face looking right to the camera. Cheerful mood, beautiful eyes. Being happy, natural beauty. 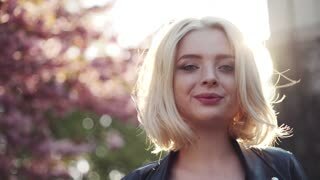 Close up view of an angel like blonde blue-eyed girl looking right to camera and charmingly smiling on a bright sunshine. Spring mood, happiness. Natural beauty. Adorable nature. Extreme close up view of a beautiful blue-eyed woman’s face being totally covered with a beauty mask. Modern cosmetology, cosmetology methods. Facial mask, facial treatment. Young hot blue-eyed blonde woman walking down the parking, and seductively looks towards the camera. Trendy style. Playful mood. Natural beauty. Extreme close up view of a brown-eyed brunette girl smiling happily towards the tablet screen and drinking coffee. Modern technologies. Light makeup, natural beauty. Having a dinner break. Extreme close up view of a beautiful woman’s face smiling happily. Being happy, positive emotions, cheerful mood. Natural beauty, self-confidence, light makeup. Extreme close up brown eyes with medical mask. 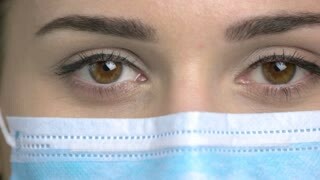 Brown-eyed female doctor eyes. Extremely beautiful young brunette uses smartphone, then looks straight to camera and seductively smiles. Trendy outfit, natural makeup. Being online, positive emotions, cheerful mood. Close up view of a beautiful young woman looks down, than raises her eyes and lovely smiles straight to camera. Natural beauty, female portrait. Positive emotions, cheerful mood.